Grass on the roof, sod walls. Authentically-built sod house replica by Sod House.org. Tours are available. “The sod house or “soddy” was a successor to the log cabin during frontier settlement of Canada and the United States. The prairie lacked standard building materials such as wood or stone; however, sod from thickly-rooted prairie grass was abundant. Prairie grass had a much thicker, tougher root structure than modern landscaping grass. Image source: Sod House.org They say historians believe a million sod houses stood on the prairie. The settlers were very poor. So these sod homes were cheap but only built so well. A modern version with more weatherproofing and a better roof sounds like a good idea. Lime plaster makes it much nicer.Imagine going down four foot and using what it dug out to make earth style bricks to raise it about four foot high on the outside. I imagine it would be very comfortable. I thought of this with the non code places like in eastern CO.
Good point about most sod houses were built by poor settlers, although some were built by the middle class, plastered and furnished nicely. So yeah, even the simplest natural materials like sod can be used to build nice homes that last decades. The main thing is to build a good roof. I imagine leaky roofs ruined most sod houses. 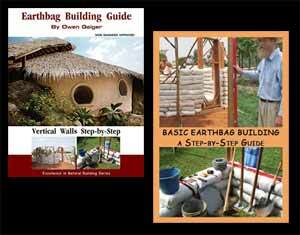 There’s no doubt about the incredible efficiency of earth bermed underground houses in cold climates. Search this blog and the Internet for earth lodges. They’ve been used for thousands of years. Just imagine what can now be done by upgrading the concept with a moisture barrier, fuel efficient wood stove, insulated floor, scoria bags, skylight, solar, etc. It’s one of my all time favorite designs and a prime candidate for achieving zero energy use.